CORK Gardaí have arrested a man over a hit and run incident that left a toddler fighting for his life. The man, who is aged in his late teens, was arrested this afternoon and taken to the Bridewell Garda Station. He was detained under Section 4 of the Criminal Justice Act 1984 and can be questioned for an initial period of 12 hours. A garda spokesperson said: "Gardaí wish to renew their appeal and ask that anyone who may have witnessed the incident or who have any information to contact them. "Gardaí believe there were a number of people in the car at the time of the incident and would appeal to the passengers to come forward. " 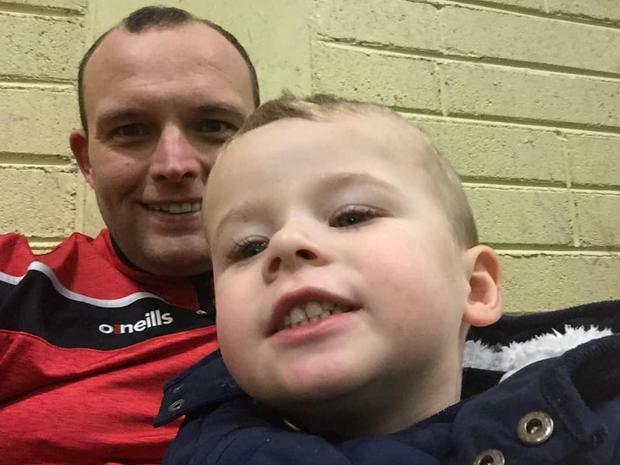 The arrest came as the father the three year old "little warrior" left seriously injured by a hit and run driver has admitted the four hours where Cork University Hospital (CUH) doctors battled to stabilise the toddler's condition were the longest of his life. Paul Higgins also slated as "heartless b**tards" the driver and three occupants of the blue Mazda car that fled the scene after the accident in a Cork housing estate at 4pm on Monday. Thankfully, Paul said his son Zac is now making a steady recovery in Temple Street Hospital in Dublin, where he was transferred overnight, though he remains in a serious but stable condition. "To see you child that way is the worst feeling I ever had in my life." Detectives are hopeful forensic tests will yield a vital breakthrough in the case. The youngster was apparently knocked down by a car in the Castle Meadows area just off the Skehard Road in Mahon/Blackrock as he was playing at 4pm on Monday. come forward and assist Gardaí.